At the helm of the ship 'Tailor Made Safaris' is Nick. 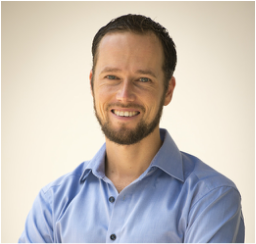 Nick is Dutch and graduated from Wageningen University as a biologist. Following many trips around the world, Nick and his wife, Freya, eventually decided to immigrate to South Africa, doing so in 2008. 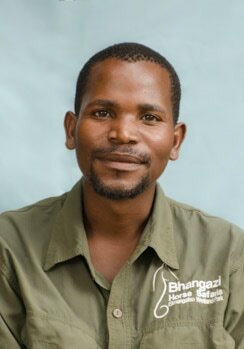 After almost a year of working for a volunteer organisation on community upliftment projects, he decided to set up his own safari company. The combination of sun, sea, beach and bush was just too appealing for them to leave the region! 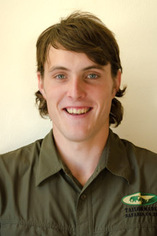 Based in the town of St Lucia, in KwaZulu-Natal, Nick has completed several guiding qualifications and is amongst the most highly qualified safari guides in the region. 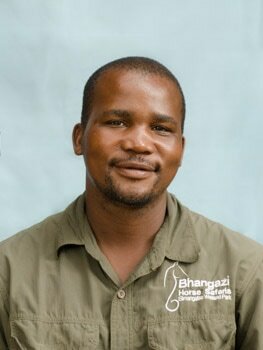 Apart from running his own company, Nick is a part-time lecturer at the Bhejane Nature Training Academy which trains safari guides. When Nick is not needed in the office to oversee things, he guides mainly specialist trips, such as photographic safaris and workshops, or tours where the guests want to delve more into specifics such as the geology or ecology of the area in which they are touring. 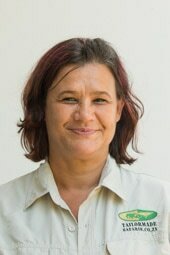 Our office managers ensure that all bookings and logistics are arranged to perfection. They do this so well and efficiently that they actually deserve a medal. They also guide our interns and do the communication with our guests. If you are staying in St. Lucia, they will bring you a personal visit to see if everything is to your satisfaction. Commander in chief Angela is responsible for overseeing the team in the office and effectively in charge of all our clients. Supercommitted, very knowledgeable, yet to the point and efficient, she ticks all the boxes for 'perfect employee', and hence she's been put in this responsible position. 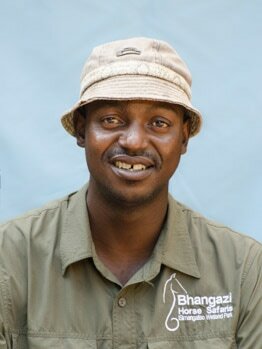 Thabo, also known as the 'Nyala Whisperer' for his attempts to talk to Nyala antelope whilst visiting Mkhuze Game Reserve, is assisting both Nick and Angela in their duties. 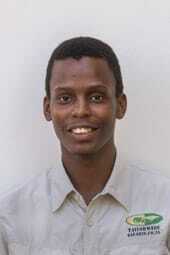 Fresh out of university, he hopes to learn to tricks of the trade with us and then one day start his own company. Our bookkeeper and 'finance lady' is Sonet. She makes sure all invoices are paid in time, and looks after the financial well being of the company ensuring that cash flow etc. remains healthy. Floris is our IT and marketing guy. You know what they say about the new generation? Well, its true, this whizkid can do things on computers that no other in our team would even attempt to understand! ​Tailor Made Safaris is proud of the successful cooperation with the Breda University of Applied Sciences in the Netherlands, where we offer internships to students. They come to our head office in South Africa and are guided to become to full employees in a period of 5 months. Left you can see 3 of them together with Nick at the fair in Utrecht, where they of course came to help us out. On the right we have Govert & Marissa who are currently with us. Benjamin Wilson is our guide for long and short tours, so you can expect an exciting tour with many animal sightings and interesting information about the animals and environment. 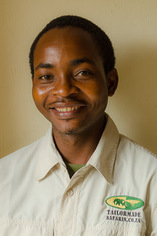 Qualified as a FGASA level 2 Advanced Nature Guide, Ben has an easy going attitude and relates well to people. Richard and Candice McKibben usually guide together as a couple. This comes at a slightly extra cost of course, but it is well worth it considering the extra service one can expect. While the one takes you on game drive, the other will ensure a delicious meal will be ready on your return to camp for example. 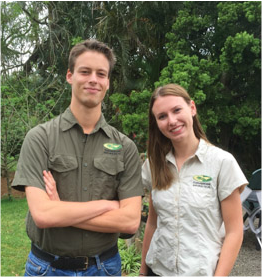 Their team work makes the logistics of your guided tour just a bit smoother, and they are just a lovely couple to be around! 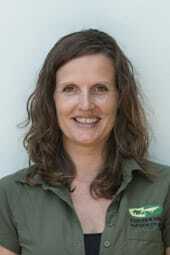 Their knowledge of nature and culture is phenomenal, and Rich is also a specialist birder and herpetologist. Oh, and they spend two years doing leopard research, so if you're keen to learn more about or see this elusive cat, these are the best guides you can have! 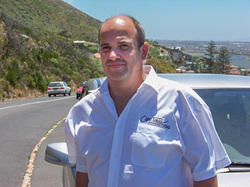 Michel Naniot is our experienced guide in Cape Town and surrounds. Originally from Belgium, he speaks English and Dutch, and has this typical Belgium warm cosyness. 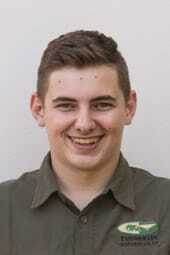 Nicholaas Uys from Swellendam, South Africa! The cheerful Uys was one of the best in his class and was, partly on that basis, selected to guide for Tailor Made Safaris’ longer tours. Qualified as a nature guide, marine guide and walking safari guide, Uys is super enthusiastic, happy, professional and knowledgeable. He loves birds and is currently working on his 'specialist bird guide' qualification. 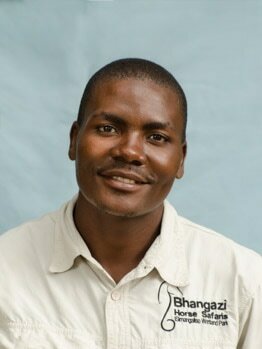 Theo (Xolani) Gina from Nkunduzi, South Africa takes our cultural tours to his native village but is also a qualified nature guide. 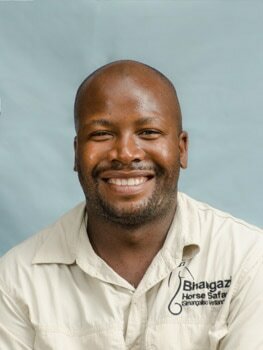 He also works as a freelance guide for a fellow safari company here in St Lucia, where he conducts the day trips to Hluhluwe-iMfolozi and night drives in the Western Shores of the iSimangaliso Wetland Park. Anthony is an experienced all round guide and fisherman! He loves doing estuary boat cruises, showing our guests hippo, crocodile and many birds. What he loves even more though is to take people out at sea and fish with them! Whilst in St. Lucia, make sure you go out with him and return with some nice fish for on the 'braai' (barbeque) that evening. We also operate the local horse safaris in St. Lucia, where we take guests out on horse rides on the beach and the savanna! Of course also there the success is due to the commitment of our great team of guides and grooms! No wonder it is one of the most popular activities in the area! If you book a tour with Tailor Made Safaris, and happen to stay in St. Lucia, you probably have a ride included in your itinerary.